IT’S MONDAY, GO ON THE ATTACK!! Inner demons,we all have them. From the happiest person we know to the most angry and sad. Some demons are obvious, some you would never know are there. One thing is certain, the demons we all have are as varied as the people who have them. I happened to be listening to the late Jim Rohn on the way to write this blog. If you haven’t had a chance I urge you to check out some of his material. He is the man who mentored one of my mentors, a man you might have heard of, Tony Robbins. In this current talk Mr. Rohn said “if something attacks you in life, attack it back”. That got me thinking of what was attacking me in my life. I came up with a few. Doubt, trouble trusting others, a temptation to react instead of act. So the very next question, how do we attack these? Different demons call for different actions I suppose. The first thing to do is admit they exist. Then, keep showing up. Do what the little girl in the picture is doing, smile. Nothing drives an inner demon more crazy. Then what? Two things really. The first is do everything you can. If your demon is anger, maybe watch a YouTube video on anger management? Talk to a consoler? Whatever you do just don’t fight fire with fire. If you have anger issues, don’t get mad about that. If you are depressed, resist the temptation to become sad about it. Reach out to others whether it be in person or online. Read books on the subject, listen to a cd on the subject, look up websites. That brings us to the second thing you should do. Don’t ever give up. Everyday you show up to do battle with your inner demons you are winning the war. Sure you may lose a few battles along the way. You may become upset and say things you don’t mean, but if you recognize that and are honestly trying to do better you are winning. When going through this know something else. You are not alone. We all have our demons. Some are just better at hiding them. So the struggle is all of ours. If someone reaches out to you be understanding and compassionate. 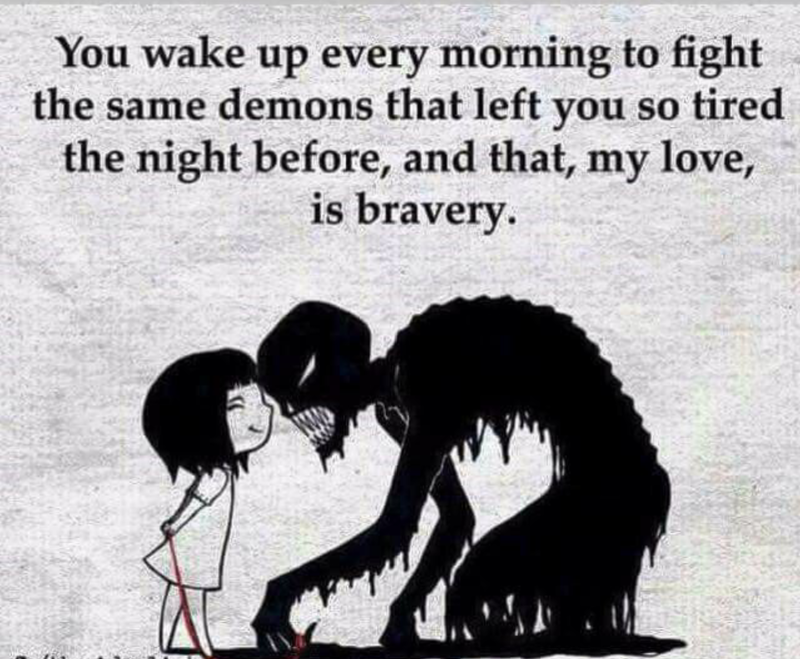 Feel free to share some of your demons and how you are attempting to beat them or maybe how you already have. You may just give others the strength to do the same. Next Post WHAT IS YOUR QUESTION?